It’s going to be a cold start to the new year for people sleeping on Bay Area streets, but one city in the East Bay is trying to be resourceful by turning its old city hall into an emergency shelter. As the region enters its coldest months of the year, the city of Berkeley is getting creative. 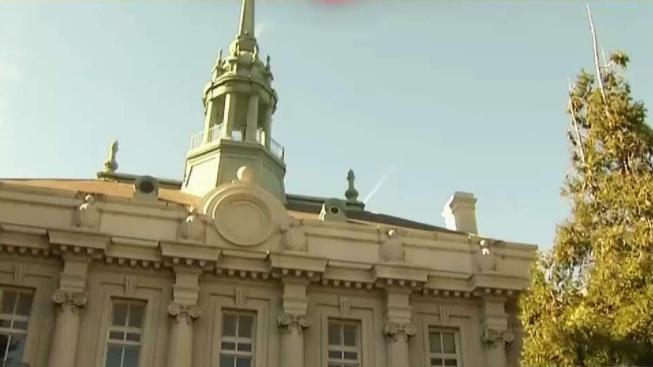 Its old City Hall building sits vacant by day because the city hasn’t been able to find tens of millions of dollars to retrofit and renovate it. On a rainy or cold night, the first floor becomes an emergency shelter for 29 people. There is one potential problem: If an earthquake hits, the 100-year-old building could come crashing down. City officials worry that the concrete roof will collapse. Homeless people, however, are more concerned about a warm place to sleep than seismic safety. "I’ve been homeless for around two years," Liz Polanco said. Polanco said she has spent many a night under the stars, but last week, she suffered a stroke and spent Christmas in the hospital. At 68, she doesn’t know if she can take another bone-chilling night on Berkeley’s streets. "They’re doing their best, they’re doing something, yes," Polanco said, referring to the city of Berkeley's effort. The old City Hall's accommodations are bare-bones; just a heated room and access to restrooms. If an earthquake does strike, there's only one plan, according to Bob Whalen, program manager for Dorothy Day House. "It’s a pretty simple exit; right here through the front doors," he said. Polanco said: "As long as it’s safe and sound, that’s all that matters to me." The emergency shelter will be open until Wednesday evening because of this week’s chilly temperatures, and there are plans to expand the shelter and add more beds to other parts of the building.